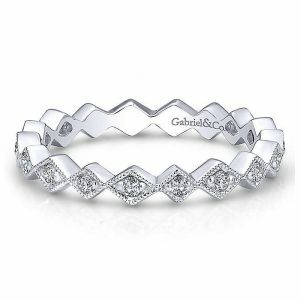 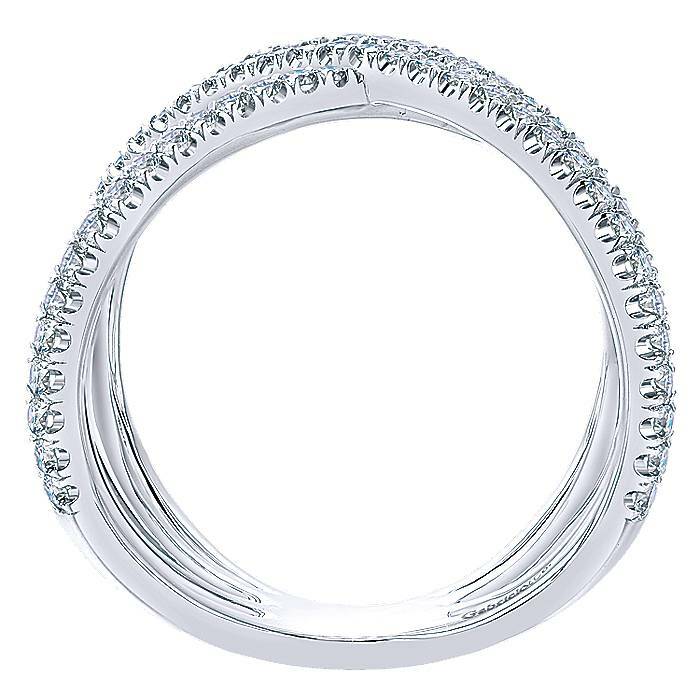 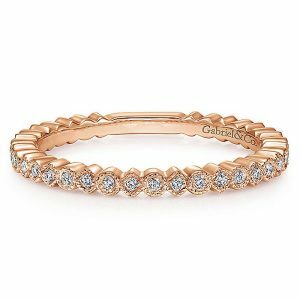 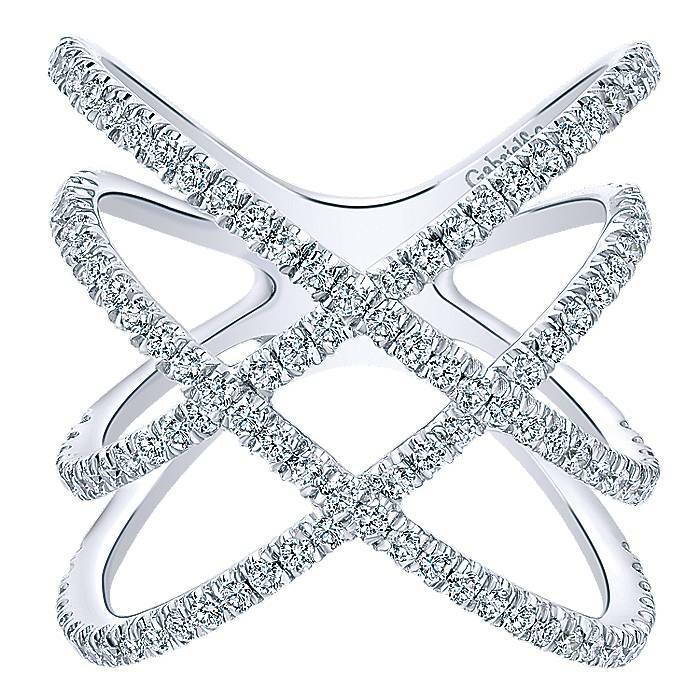 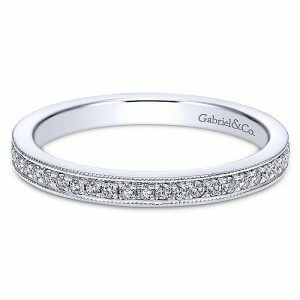 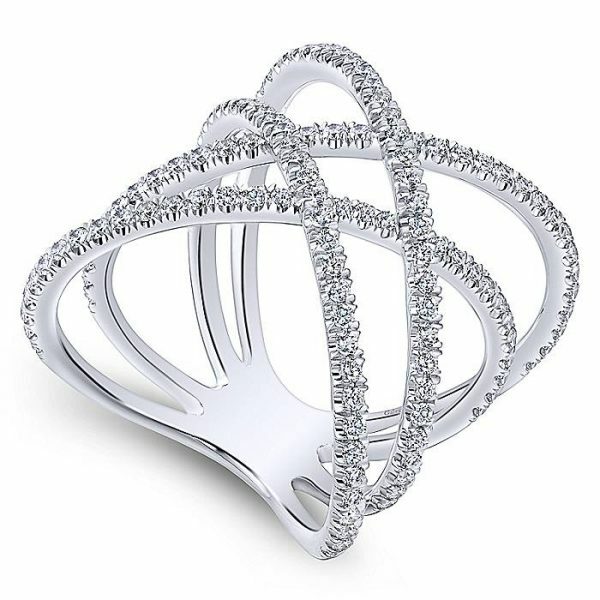 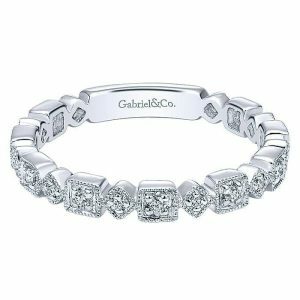 14k White Gold Layered Woven Diamond Fashion Ring. Dramatic and distinctive, this wide band fashion ring boasts four strands of 14k white gold and pave diamonds interwoven into a loose grid design. 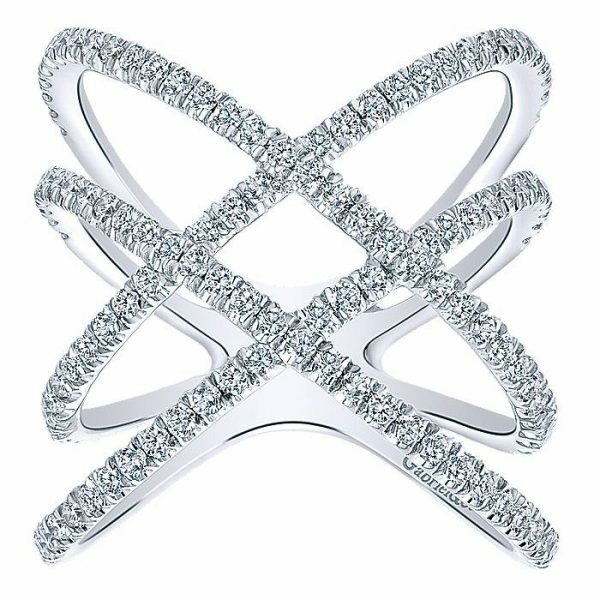 Exhibit your fashion-forward style with this striking .9ct diamond ring.